The best part of Phillips Fiber Art is the wonderful customers who become friends. This is true of Roger Racine. 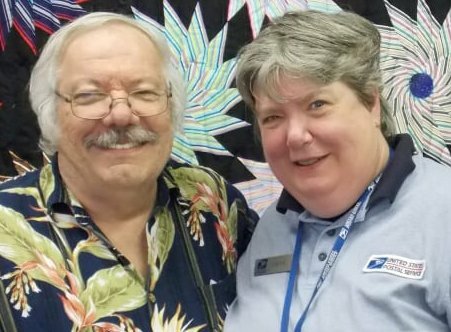 Both he and his wife, Katie, are quilters from North Carolina. 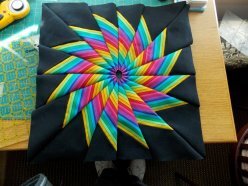 Roger decided to make the free April Spinner block using the Squedge 22.5 tool. He sent several photos of what he’d made with a question or two. He wanted to make a quilt for the 2018 Wilkes County Quilt show. 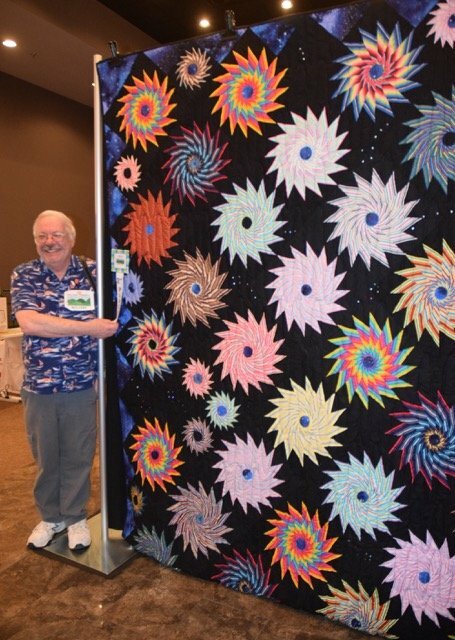 Roger was tenacious as he made block after block, using an amazing collection of striped fabrics. It was as though this block was made for him! I challenged him to make some smaller ones with the scraps. He again jumped right in and made fifteen of the smaller ones too. Then came the job of putting them together into one project. This task might have been daunting to some, but not Roger! Just look at his winning project, Star Struck on Point. Even the judges commented on his fabulous use of stripes and color. 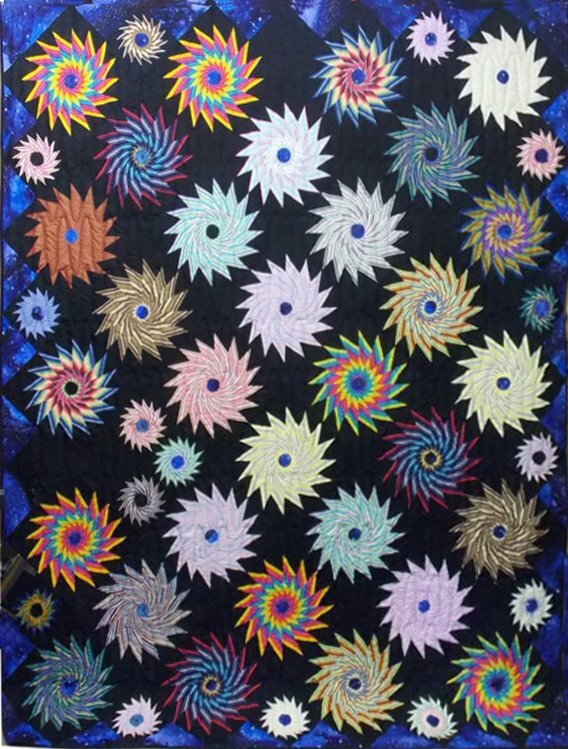 2 1/2 years to complete, is hand quilted and featured diamond shapes. Roger is a winner in our hearts! Download the April Spinner and grab your Squedge 22.5 today! Click image to view larger!